For some reason, our first album “Handle With Care” actually sold better than our second album, “Sailing on Fantasies” to the club crowds we played for. Looking back, I can kind of understand that because we were booked, at least in the days before Disco made it big, in a lot of rock bars. And the first album was certainly more rock oriented than the second album. However, the general feedback is that album 2 is much better than album 1. I agree. Here may be some of the reasons. 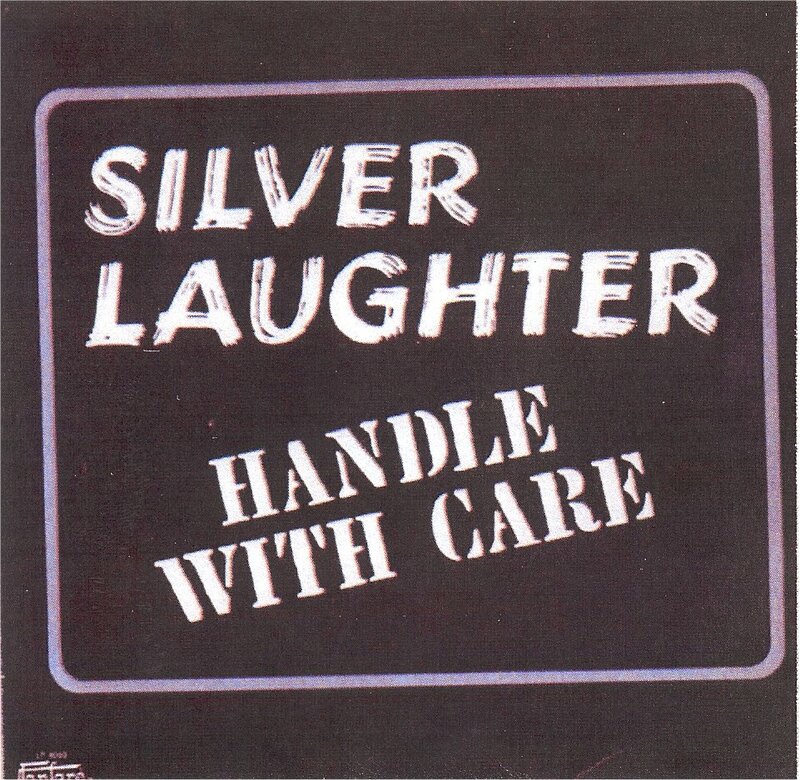 When Jon Ludtke and Steve Elliott formed Silver Laughter, I was playing in a band called The Contents Are:. The group comprised of lead guitarist, Dave Neumann, drummer, Paul Staack, and lead and rhythm guitarist, Craig Hute who also wrote most of the music (all of it before I joined). Somehow they found me playing bass in an obscure band called Todd Beat Group who did only original material. I was very excited because The Contents Are: had already recorded one album (“Through You”) and had a hit single (“Direction of Mind”) on the top 10 on the local Davenport Iowa AM radio station. I was quick to pick up on their cover material so we could start playing in clubs as soon as possible. Even though I was not yet 21, we got a gig at Al’s Lounge on River Drive in Davenport. The cop at the door said I could be in the bar as a performer as long as I didn’t drink until I was old enough. Over time we filtered in several of my original songs along with the prolific Craig Hute’s compositions. The band moved to the Colorado Boulder-Denver area where we played for a few years before changing our name to Tabernash. Needless to say, with my Beatles background, I was not happy with the direction the “non-commercial” Tabernash was headed. After all, how can you become rich and famous by being non-commercial? So when Jon called me from Davenport to ask me to join Silver Laughter, I was flattered. However, I had gotten married several months before, and it posed a bit of a dilemma. At first my wife was on board. She helped me pick up a bunch of stage clothes to prepare for my debut, but after several months of being on the road and apart, we both decided to divorce. Jon and I started writing almost right away. He brought several songs over from the early Silver Laughter days (“Getaway Woman”, “Take My Money”, “Turn Your Face Away”, “Whiskey Heaven” and the never recorded “The Lord Helps Those Who Help Themselves”) and I brought a couple I wrote with The Contents Are: (“Goin’ To Be Mine” and “Grey Cloudy Skies”). Like I have said in several places, Jon and I liked the Lennon/McCartney collaboration and so we adopted it for ourselves. In some places we added music to existing songs. In the case of “Goin’ To Be Mine” we added the middle bridge which was new from the original arrangement, and “Take My Money”, we also added a new bridge. As far as I remember, the rest of the songs were written specifically for the album. Disco music was just starting to get popular thanks to the movie, “Saturday Night Fever” and the Bee Gees so we wrote “Any Words You Can Say” as our opening track. The point of this article is to respond to critics who said the first album sounded somewhat disjointed. Could it be because the songs were a compilation from compositions over the years?